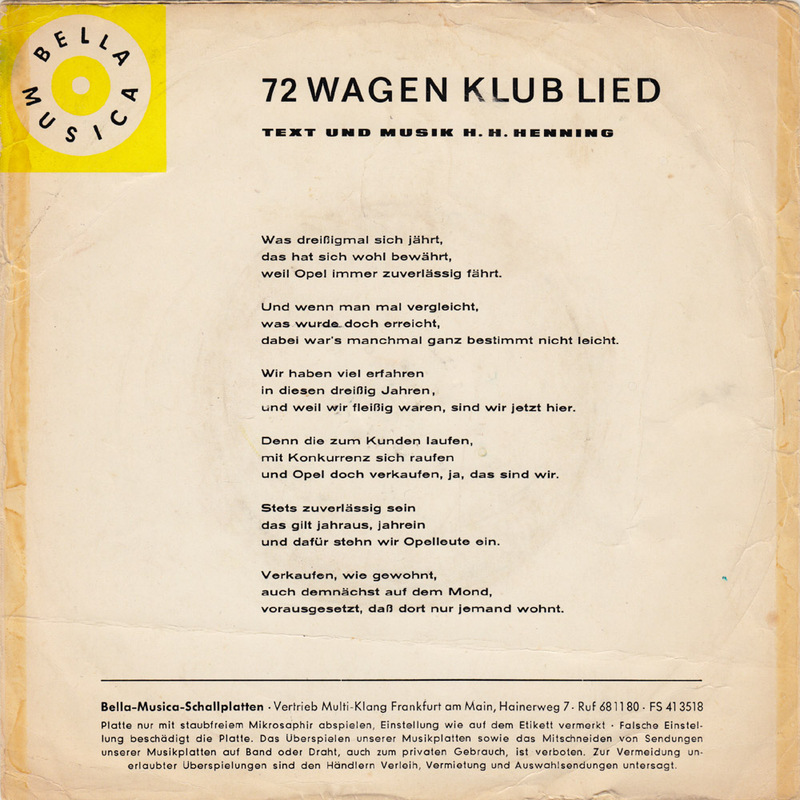 The record is celebrating the 30th anniversary of the Opel 72 Wagen Klub. 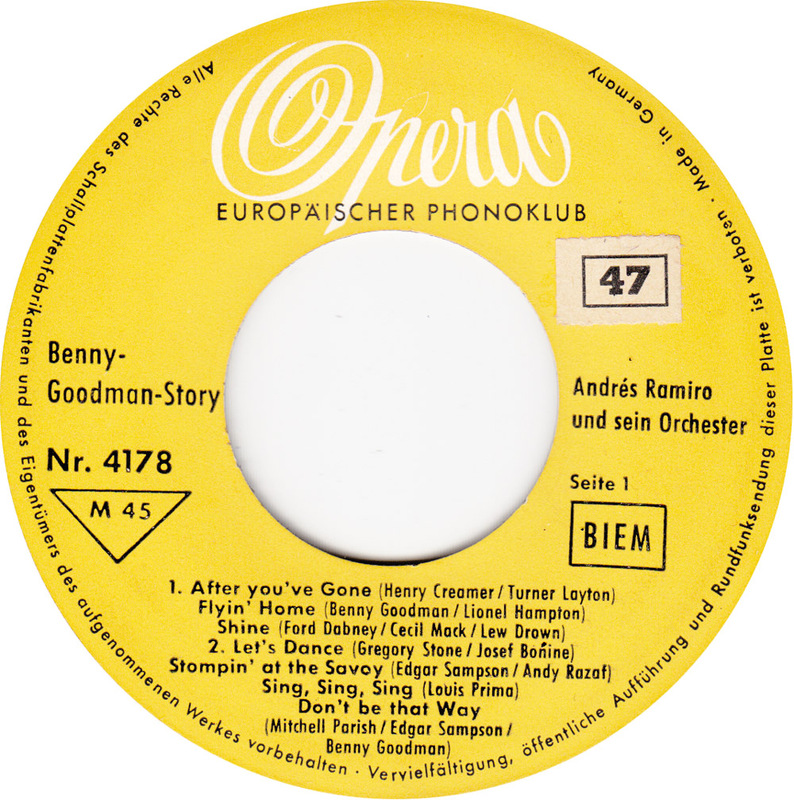 Last week I bought two Opera label 45s. 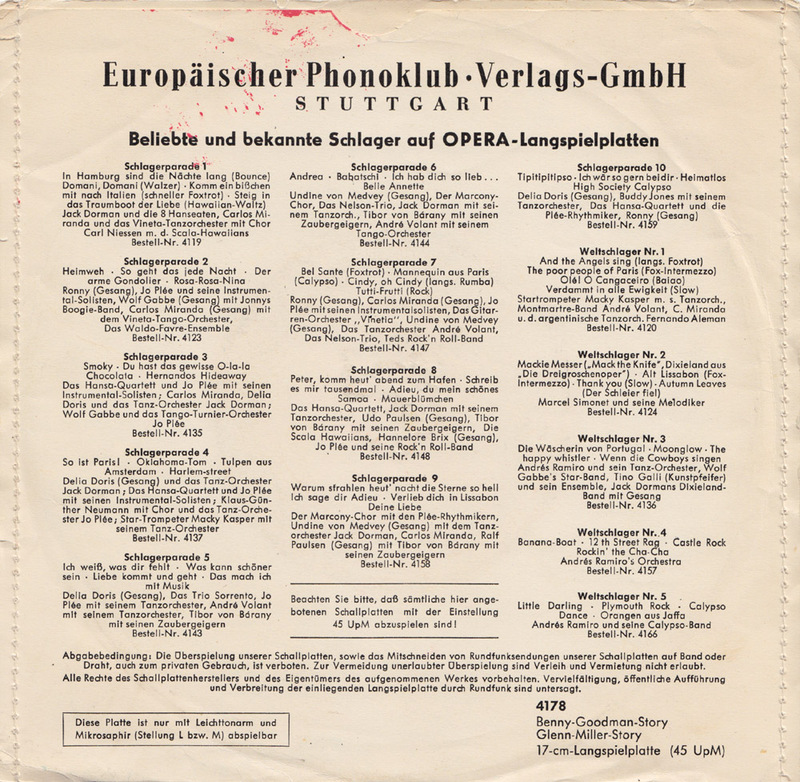 Opera was a record club, essentially a sort of cheapo label. 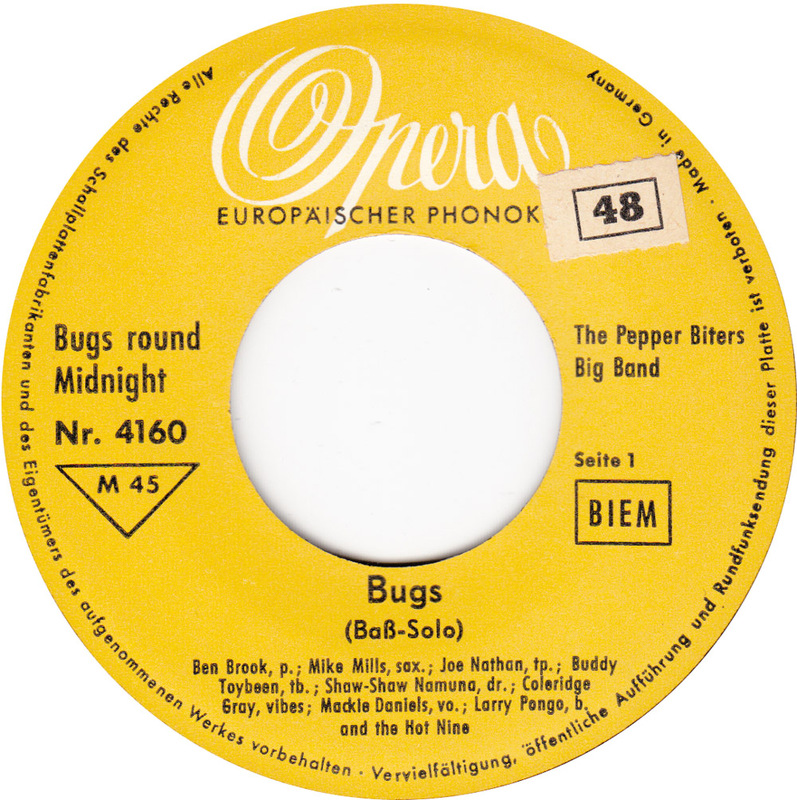 They still sell cheaply today and I would contribute this largely to the bland record sleeves, that do not tell much about the music on the records and lead sellers to believe the music must not be interesting. 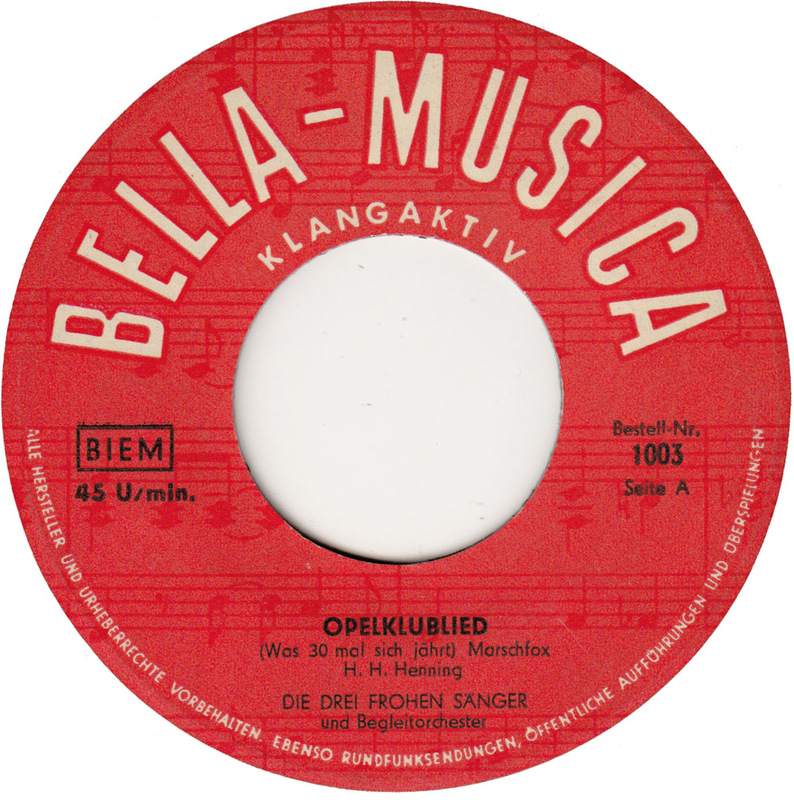 Opera did mostly published second grade versions of hit songs, but also took over some cool stuff from other labels catalogs, like Duke Ellington and the Deep River Boys. While the music on this record is not rhythm & blues or hot jazz it´s still a little more sophisticated than the stuff that I normally present here. 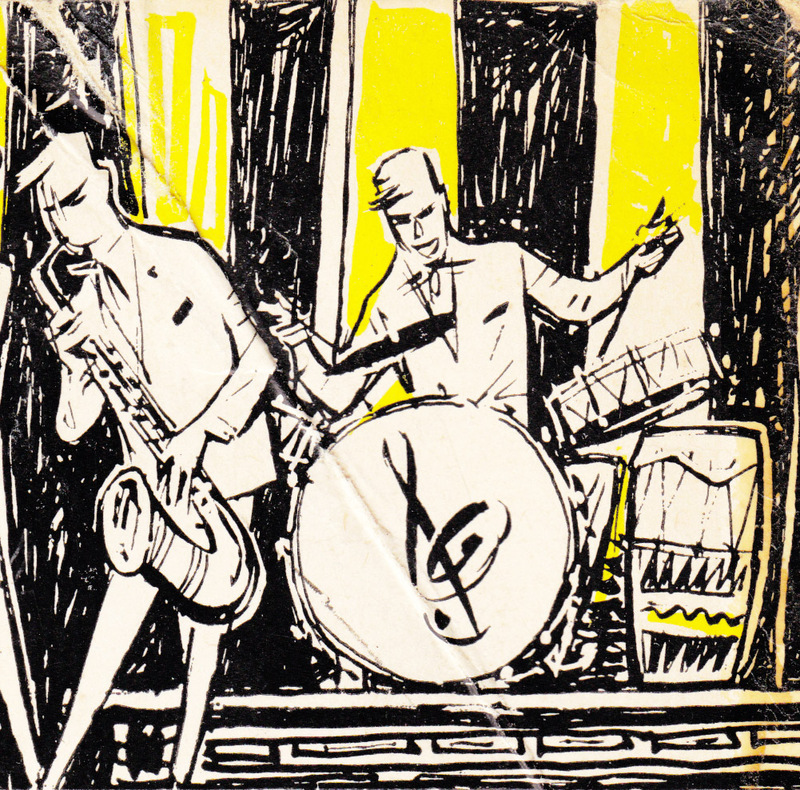 It´s Modern Jazz in the Stan Getz style – some sort of big band junkie jazz. Either way it´s not meant for dancing. It´s music for sitting. 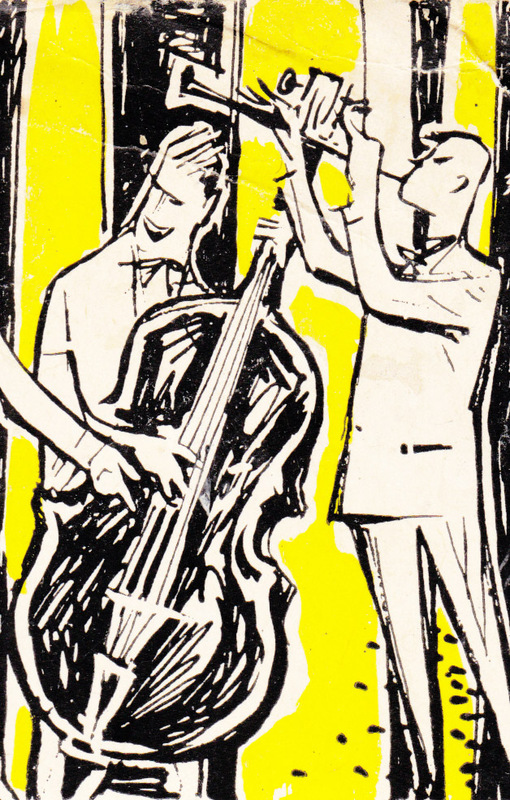 I´m nearing fifty but I feel that I´m still way too young for this type of jazz. I still have no time for slow music. Or for music that I need to sit down to to listen to. But who is this band and where are they from? 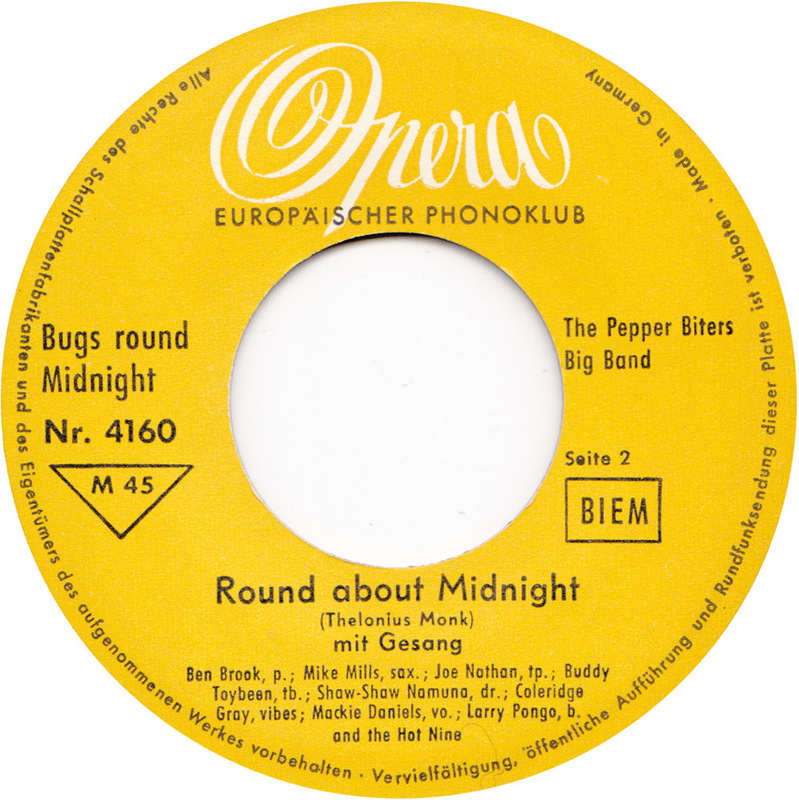 I couldn´t find any trace of The Pepper Biters Big Band on the Internet. Are these real names? Ben Brook (Piano), Joe Nathan (Trumpet), Shaw-Shaw Namuna (Drums), Mackie Daniels (Voice), Mike Mills (Saxo), Buddy Toybeen (Trombone), Coleridge Gray (Vibraphone), Larry Pongo (Bass) and the Hot Nine. 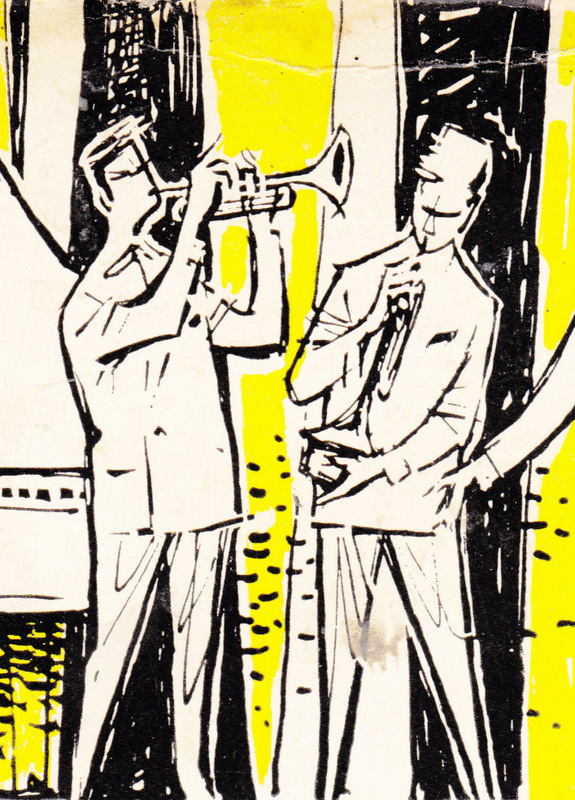 A couple of years ago I thought big band swing music was boring elevator background muzak. 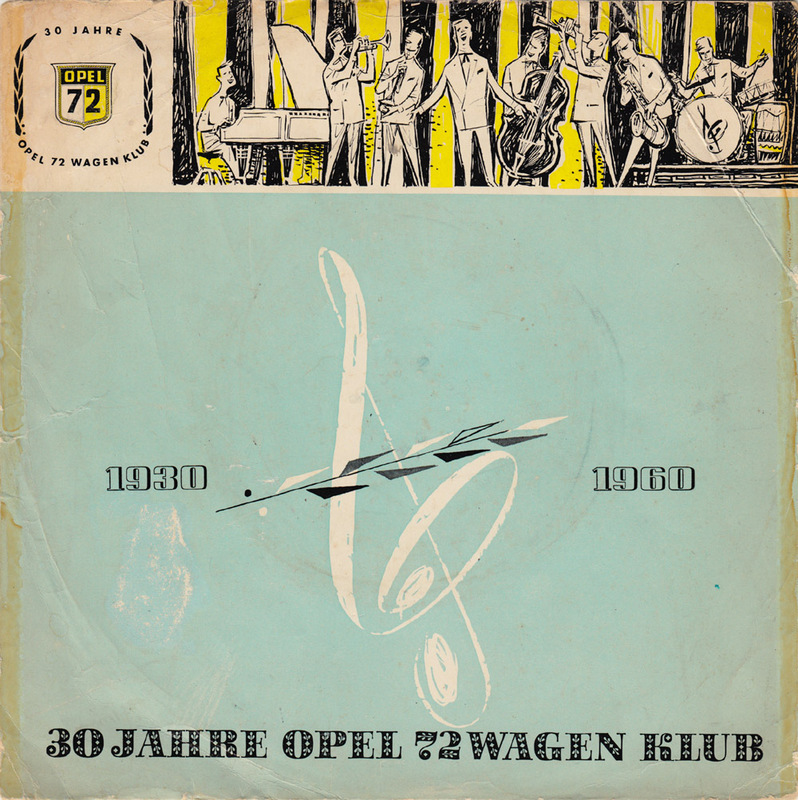 Since then I´ve developed a deep appreciation for the big band swing sound of the 30s and 40s. But the reason why big band swing got such a bad rep is probably stuff like this. 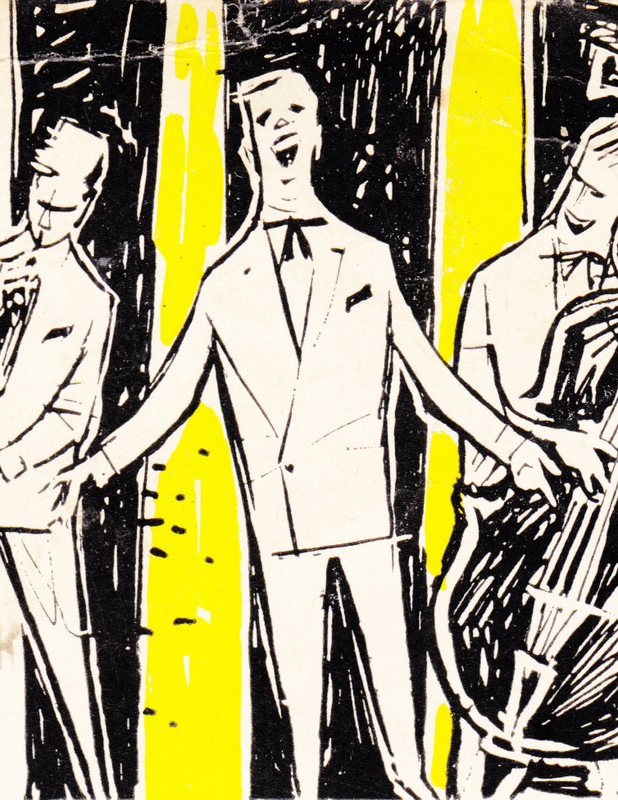 Back in the 50s big band swing had already gotten long out of fashion. 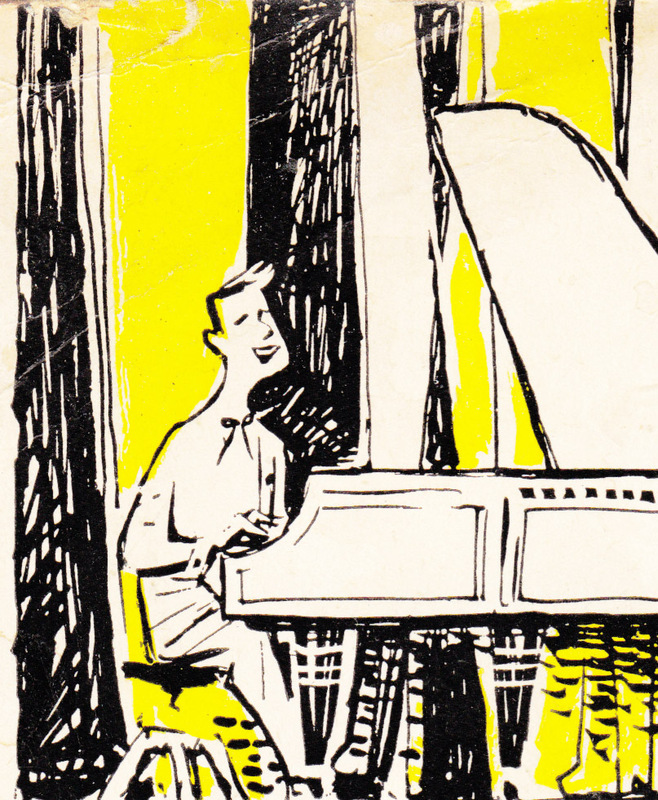 Like all big band swing ever since, this record was appealing to more conservative listeners. Hip people either listened to real jazz or rock´n´roll. 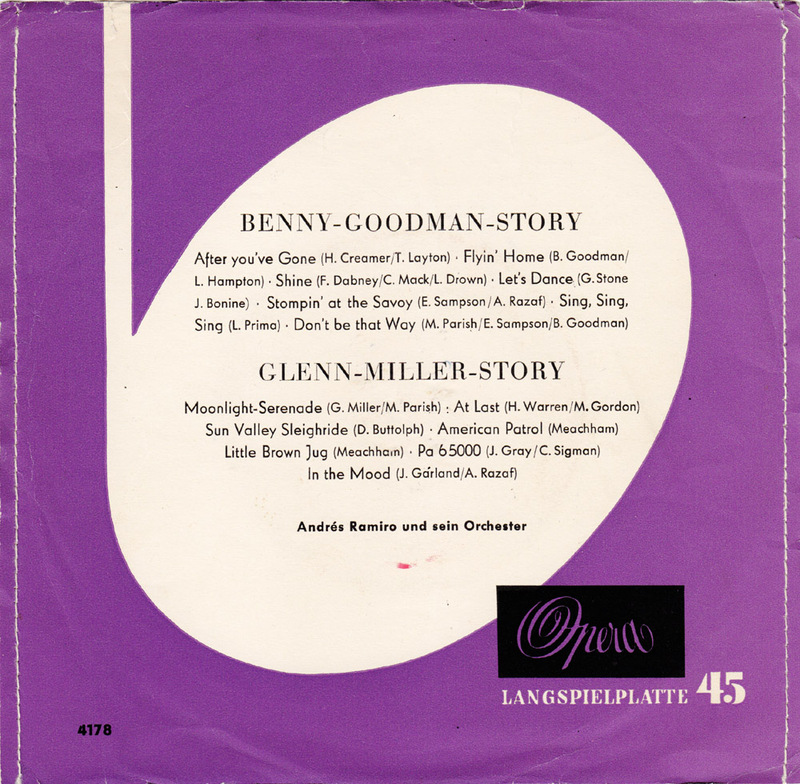 Today nobody needs some 1950s second grade medleys of Benny Goodman and Glenn Miller hits, when most people don´t even care for the originals? 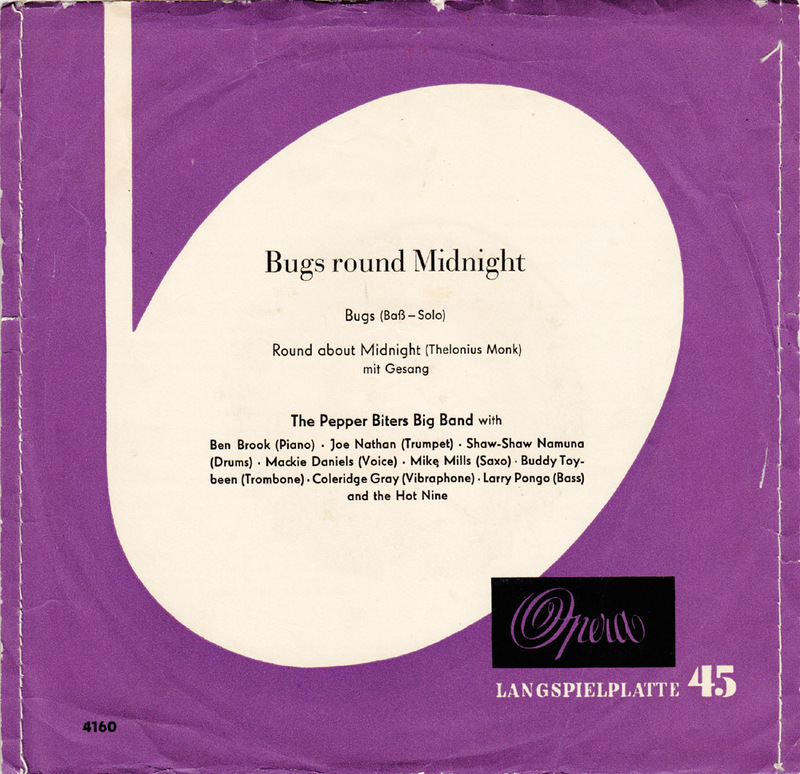 Still musically this is top-notch big band swing! 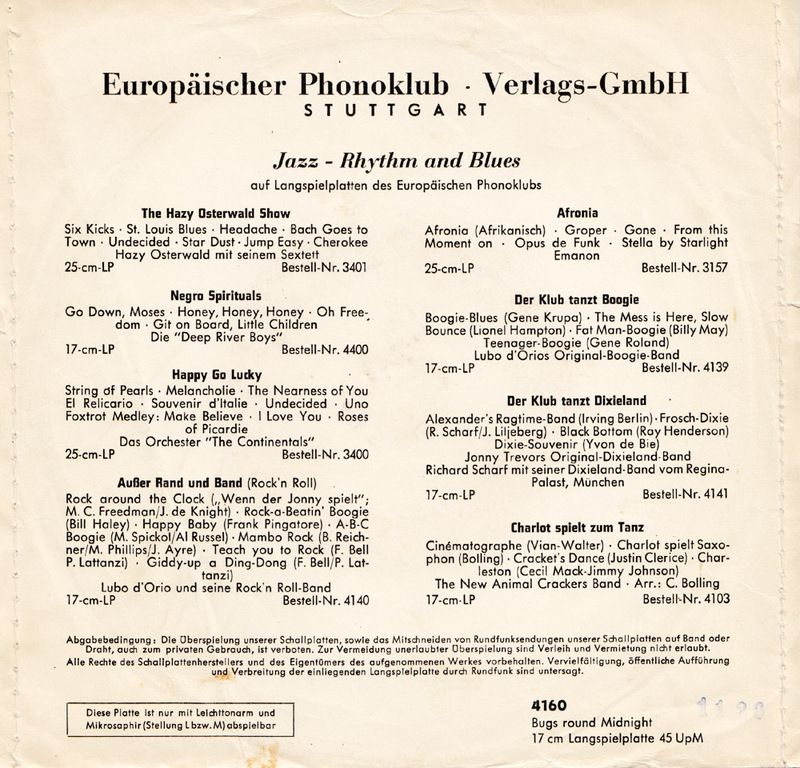 From Berlin – from one of Berlin´s true Jazzmen! 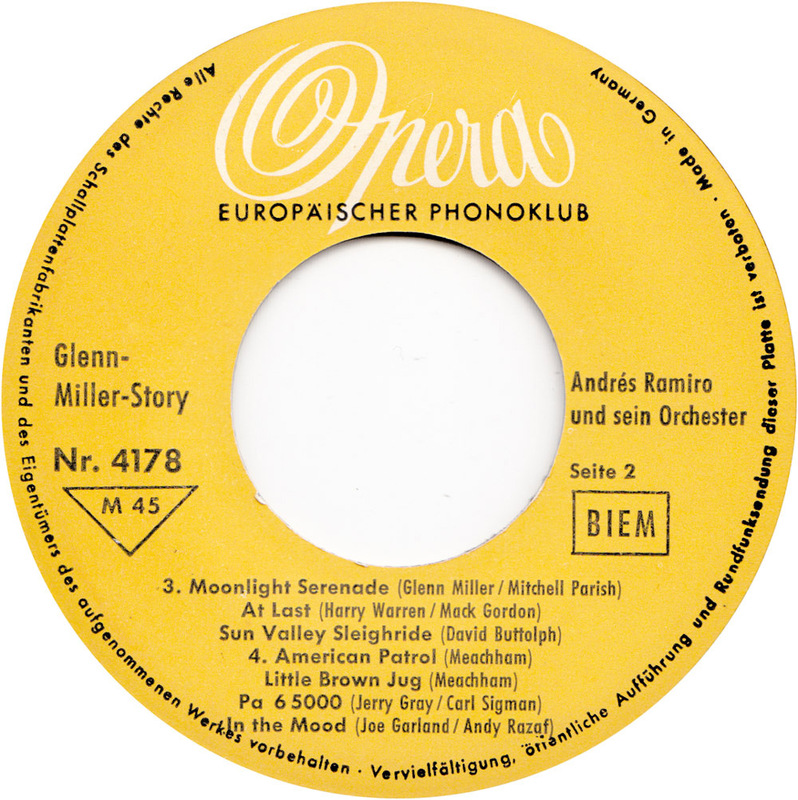 Andrés Ramiro really is Berlin band leader Wolf Gabbe,the man who was also behind the pseudonym Kid Orbis. Unfortunately his music has largely been forgotten. If you´ll search for Wolf Gabbe on Amazon/Itunes two songs will pop up that are currently for sale . Only two songs from a couple of decades that Gabbe worked and recorded in. I have posted some of his records here, here and here. Wolf Gabbe appeared in the 1954 film Der treue Husar, the faithful Hussar.